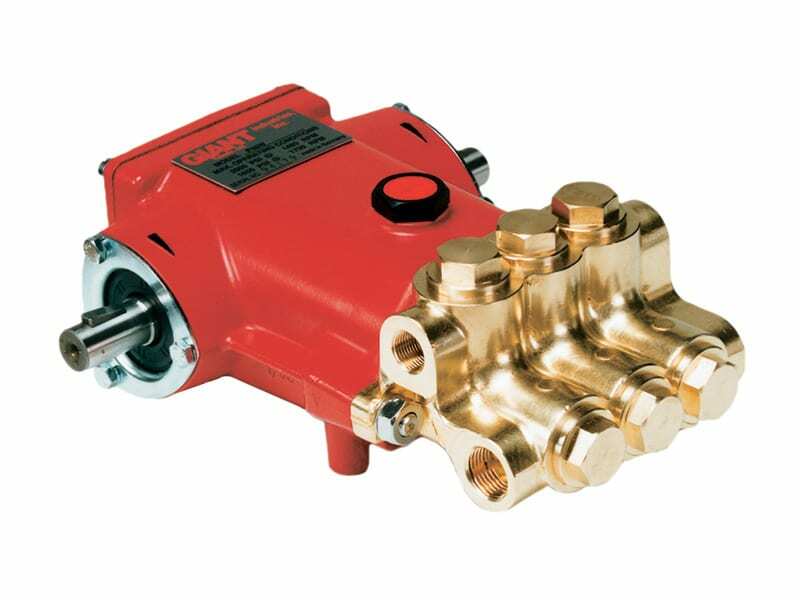 Designed and manufactured in Germany, these small medium duty pumps are meant for continuous duty applications. With a power range up to 6 Hp (4.4 kW), these pumps are used in a variety of applications including car washing, hot water pressure wash, harsh-duty cleaning stations, boiler feed, carpet cleaning and other industrial applications. Flow ranges is up to 4 GPM (15 L/min) and pressure range is from 100 PSI (7 Bar) to 3000 PSI (200 Bar). Temperature range is up to 220 °Fahrenheit (105 °Celsius). Fluid end material is forged brass.